In this article we are looking at 15 best drones for sale for each price range from $2000 to under $100! Buying a drone is a very difficult task. Prices majorly depend on features being offered usually their prices range from $300 up to $2000. If you have a low budget, you should consider drones under $100. There are many types of drones available in the market. In this article 15 best drones for this year are being discussed, so let’s have a look. "Ideal For: Intermediate and Experts"
When it comes to Long Range drones, there are no better options than the DJI Mavic 2 Zoom and DJI Mavic 2 Pro. In this section, we will be covering the DJI Mavic 2 Zoom; what makes it great and how it compares to the equally amazing DJI Mavic 2 Pro. The DJI Mavic 2 Zoom​​​​ is a fast and lightweight unit equipped with a very decent camera; it is also very compact and easily portable. The main attraction of the Mavic Zoom 2 is its 2x Optical Zoom lens, the first of its kind, which is what makes it stand out from the competition. As with every drone from DJI’s Mavic series, the Mavic 2 Pro and SZoom has a slick design, excellent flight range and flight control, which make for an overall great flying experience. The build quality is also class leading. 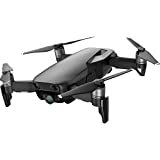 The Mavic Zoom 2 and the Mavic Pro 2 are virtually identical in terms of build and handling, the main difference between these two, besides the price, is the difference in camera quality. If you’re willing to spend an additional $200, you’re essentially getting better resolution, better colors, and better low-light shots. The Mavic 2 Zoom is a foldable compact drone; when folded it only takes up 214x91x84mm of space and spreads to 322x242x84mm when you unfold it. 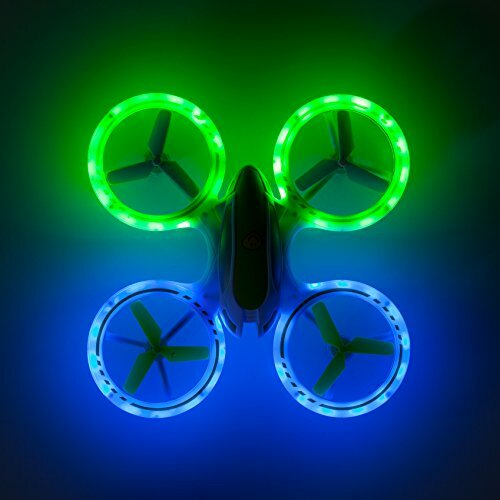 This lightweight drone only weighs around 905g and combined with its 3850 mAh Lithium Ion battery type and it produces an excellent flight time of around 30 minutes. The best part of this drone, however, is the astonishing 18km flight distance, making it, by far, the most outgoing long distance drone. The top speed on this drone is no joke either; it can reach speeds up to 72km/h. The biggest difference between the Mavic 2 Pro and Mavic 2 Zoom is the camera. With a name like Zoom, you’d think this version of the drone would have a better camera than its counterpart. That’s not to say that the camera itself is bad, the Mavic 2 Zoom comes with a standard 12MP, 1/2.3” CMOS Sensor, which is capable of producing decent quality output in a wide variety of formats (including great slow mo video), and is equipped with the additional optical zoom, which does come in handy. The Mavic 2 Pro, however, is virtually identical to the Zoom but is equipped with an even better camera. It comes with a 20MP camera that has an improved frame rate and offers better image quality. With the Mavic 2 Pro, you get better image quality but no zoom, so the choice is left completely up to you. If you need a drone that can fly at great heights without losing any image quality, you should go for the Zoom. 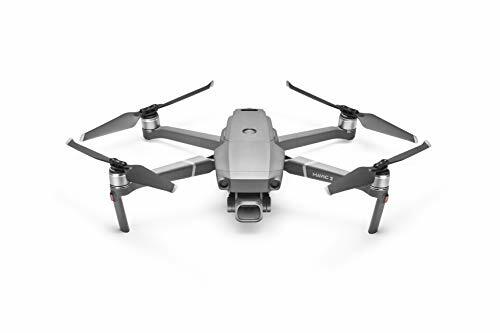 Otherwise, we recommend the Mavic 2 Pro, as it has a better camera for video. The Mavic 2 Pro and Zoom are the best long-range drones; they’re also some of the most expensive ones. You can check out some other great long range drones on our list of Top 5 Best Long Range Drones where we review the best long-range drones currently available on the market. As far as affordable 4k Drones go, there is no better option than the Mavic Air. The Mavic Air is a significant upgrade to the DJI Mavic Pro and DJI Phantom 3, which have unfortunately also been discontinued. The Mavic Air comes with a better camera, better sensors, and an extra 20% controllable range. In terms of performance, the Mavic Air is as good, if not better than, the Mavic Pro. Both crafts have amazing performance; they’re both able to hover steadily in place, without any RC input by the pilots. The Mavic Air is also an ideal beginner drone; it has great handling and can be flown even in windy days. In terms of specifications, the Mavic Air outclasses every drone in its price range. The flight time of the Mavic Air is 21 minutes and the maximum controllable range caps at just about 4km. Another great feature of the Mavic Air is that it supports First-Person-View mode. Pair your Mavic Air with FPV goggles to get an immersive flight experience. It’s also a great racing drone. This drone can reach speeds up to 88.4km/h, combined with its ease of use; the Mavic Air makes for a great beginner racing drone. A huge selling point for the Mavic Air, without a doubt, is its camera. The Mavic Air camera can shoot Full HD videos at 120 fps, 2.7k videos at 60fps and 4K videos at 30fps. You can even shoot HD video in slow motion! If you’re into aerial videography and photography, the Mavic Air is the drone for you. On today’s market there are a wide variety of options to choose from when it comes to drones. However, there is no better value for money than the DJI Mavic Air. Even though the Mavic Air is one of the best 4K drones in its price range, and our favorite mid-range drone. If you are only interested in buying a 4K drone, then we recommend you check out our list of 4K drones to get a better idea of what kind of drone you want. As far as value for money goes, the DJI Spark. comes up trumps. The spark is one of the most popular drones currently on the market it is without a doubt the best drone you can buy for under $500 and not only that, it often sells for just under $400! You can get just the DJI Spark without a remote controller for just under $400, which is an option many manufacturers don’t offer. So if your drone breaks down but you still have your controller, you can replace an already cheap craft for even cheaper. It’s a very light and compact drone and easy to carry around, it’s pretty tough and can be carried in a backpack. The DJI Spark is also the most stable and accurate drone that you can get for that price. At under $500 the Spark is equipped with a lot of the new DJI technology. Obstacle Detection, GPS Assisted Hover, you name it. Whether you’re a beginner or an expert, the DJI Spark offers an amazing flight experience. For its price, the DJI Spark offers a really decent control range maxing out at 2km. The flight time isn’t the longest, but all things considered, for a drone of its size, a 16 minute flight time per battery charge is no joke. The DJI Spark is also equipped with a decent camera, which will allow you to record some amazing aerial footage. The built-in 12MP Camera can record 1080p videos at 30fps. It makes use of a 2-axis stabilizing system that makes sure all your footage is clear and steady. The DJI Spark can also stream High-Quality Live video with 0 latency. You won’t find a better First-Person-View experience with any other drone in this price range. We honestly can’t recommend the DJI Spark enough, take a look at our list of drones under $500, where you can compare the Spark with some of the best drones in its category and see for yourself just how good the DJI Spark is. 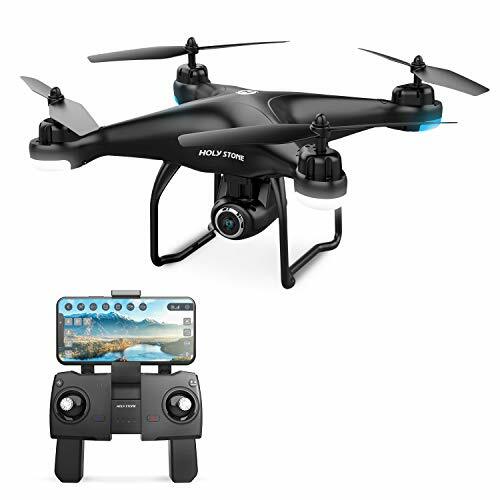 Who should get this drone? There is a big drop-off after the DJI Spark, the difference between it, and the next drone on the list, the Holy Stone, is huge. I personally would not get a drone cheaper than the Spark. And it easily gets our award as the best value for money drone. "Ideal For: Beginners, Intermediate ​Pilots"
If you’re looking for a drone that’s just under $300 the Holy Stone HS700 is the drone for you. The Holy Stone HS700 is an upgraded version of the very popular HS100 model. This drone allows you to film amateur videos or student film projects, without spending too much of your money. It’s also a decent drone for casual footage; you can film outdoor events family events, holidays, etc. The HS700 is equipped with a 12MP camera and also supports a GoPro. If you’re looking for an easy-to-fly drone that’s durable and has tons of features, look no further. Holy Stone’s reputation precedes them; if you just glance at any Holy Stone review page on Amazon, you’re sure to find many happy customers. There’s a small learning curve for the Holy Stone HS700, and it requires a bit of practice, but it’s still a great beginner drone all things considered. It’s a stable craft that’s responsive to the pilot’s input, which is exactly what you’d expect from a camera drone. The HS700 is equipped with a decent action camera that’s good enough for most people. It’s a 12MP Camera that streams Full HD 1080p footage at 30fps at over 400m. It can transmit Live HD Video to the pilot’s smartphone or an FPV Monitor. Like we mentioned before you can also change the default camera with a GoPro or any other action cameras. All-in-all, the Holy Stone HS700 is a great easy-to-fly craft with great features and build quality. If you’re new to drones and you want an easy-to-use beginner camera drone, the Holy Stone HS700 is a good choice. 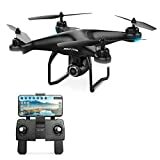 It’s a very decent drone especially considering its price. Even though this is our pick for the price range; you can check out our list of the best drones under $300 and compare the drones with each other, maybe you’ll find a drone that suits you more. "Ideal For: Beginners, Intermediate Pilots"
The Contixo F20 RC is a very cheap, easy to carry FPV Drone. It comes with everything you need straight out the box. With a 2km control range, the Contixo F20 is a great cheap option for those who like to travel. Unlike the Contixo F18, the F20 is a slightly harder drone for beginners, it does have a bit of a learning curve, but it’s still an okay drone to start with. The Contixo F20 is a smooth and easily maneuverable drone; it’s great to carry around in it’s already included backpack. The F20 is equipped with four powerful 1800KV Brushless motors. The Contixo is the second best drone in our under $300 category, but it’s quite cheaper than the Holy Stone HS700 at around $200. The specs of this drone, for its price, are unbelievable. The flight time goes up to 16 minutes, and the control range maxes out at around 2km, however, even with the smart return function, we urge beginners not to fly their drones that far. The Contixo F20 has a First-Person-View function. However, the FPV only transmits footage up to 500 meters of distance. For a drone that’s aimed at outdoor exploration, it makes sense for it to be equipped with a pretty decent camera. 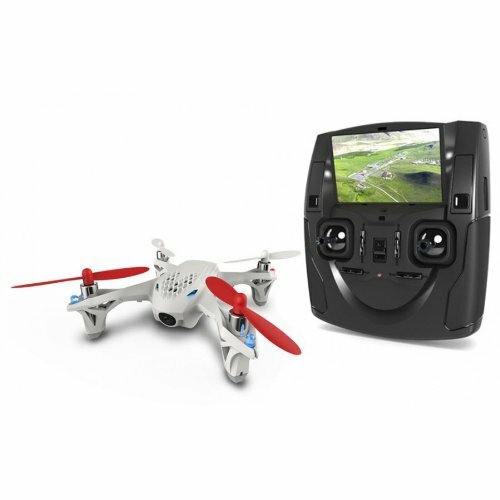 The Contixo F20 comes with a Full HD 1080p camera, which makes for great aerial footage. It can also transmit great quality Live Videos, you will, however, have to get an app for your smartphone. The remote controller for this drone comes with a holder for your phone. If you’re new to drones and you want an easy-to-use beginner camera drone, you can't go wrong with the Conixo F20 RC. This drone is an amazing drone that places just above the $200 category, and is our go-to budget pick for drones under $300. As far as beginner drones go, there are no better options than the Holy Stone HS120D. This drone is truly worth the investment, it gives you the most bang for your buck. People assume that just because a product is cheap, it automatically lacks in quality, but that can’t be further from the truth with a lot of modern day drones. Today’s cheap drones offer a decent performance, which means it’s not expensive at all for beginners to get their first craft. The HS120D is a testament to how much modern, “cheaper” drones have improved. Even with no previous flight experience, you can easily fly the Holy Stone HS120D because of how steady and responsive it is. The range of the HS120D is not that good, unfortunately. The maximum controllable range is around 300m, which is more than enough for youngsters and beginners, but if you’re looking for something more serious, you want a drone with a better max range. The flight time, thankfully, is decent enough, you can get good 18 minutes of flight per single battery charge. The camera on the HS120D records videos with no latency or “Jello effect”, two commonly occurring things among cheaper drones. The image quality on the HS120D is also better than what you’d expect from a drone in this category. That’s not to say it’s the best camera you could as for, but it does have a decent 1080p resolution and a 120º Field of View lens. The Holy Stone HS120D can also transmit Live Video directly to your smartphone through a free app available for Android and iOS. Overall the Holy Stone HS120D is decent when compared to other drones under $200; it’s a great and cheap entry level option. However, there are other options under $300 that you might want to look at if you have some cash to spare. DJI are back at it again with another seemingly miraculous product, the DJI Tello. DJI are offering you a feature-rich extremely capable and compact drone, at a price of under $100. DJI are mostly known for their high-end Mavic series; it seems as though they’re set to dominate the budget drone market as well. One of the things that make the Tello stand out is how simple it is to fly, even if you’ve never flown a drone before you should have trouble learning how to pilot it in no-time. And if you’re someone who has already had prior flight experience, the Tello has features that are bound to keep you entertained. 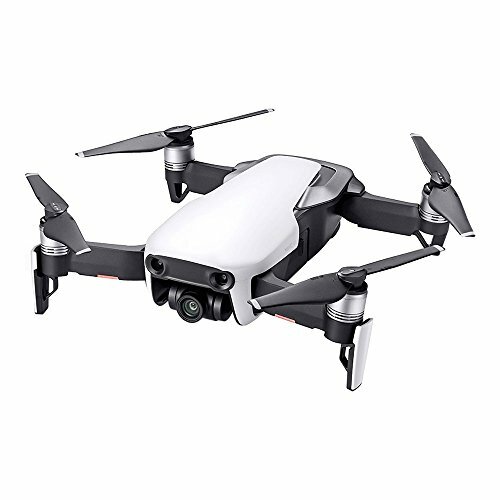 The DJI Tello is very similar to the the incredible and very popular DJI Spark, in both looks and performance. While other budget drones offer an average flight time of around5 to 7 mintues, the DJI Tello offers you the standard 13 minutes of flight time, which is the un-paralleled in the under $100 price range. The control distance isn’t as good as the flight time, but the DJI Tello still offers a decent distance for a drone of this category, at about 100m maximum distance. The fact that a drone in this price range has a camera this decent is honestly incredible, DJI have once again outdone themselves. The DJI Tello comes with a 5MP Camera that has an 82.6º Field of View and shoots footage at 720p 30 fps. The DJI Tello is also equipped with digital image stabilization, which makes the footage significantly less blurry. 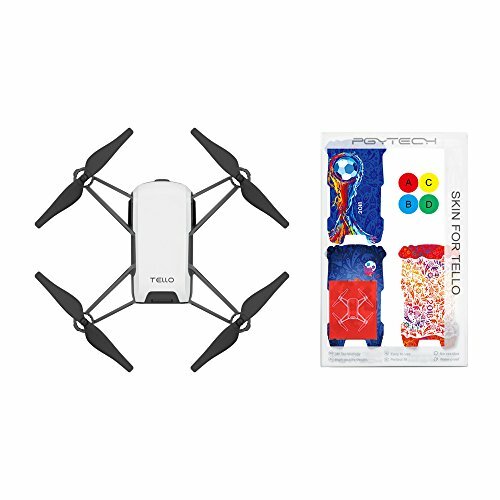 The DJI Tello is without a doubt the best beginner level camera drone in its price range, there are other cheaper drones that are decent but they’re usually aimed at kids. 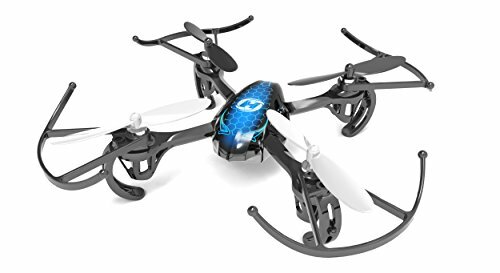 You can actually find some really solid drones around $50, if you’re looking to buy a drone for a young kid. These are 4 models of phantom 3 series, from the top most, DJI’s phantom 3 professional lies just above all of them because of its extra features. Ultra sonic sensors and optical attributes are best in this model with GPS system and standard follow me qualities. There is also an attribute of 4k recording with flight time of 20 minutes, and much more to go. In Phantom 3 advanced, all features are same as in phantom 3 professional with a lacking of 4k video feature, but available with 1080p. Let’s talk about the third model phantom 3 standard which is very reasonable in price value and gives you a video recording of about 2.7k with a lacking of ultra sonic sensors and optical flow, but rich with GPS waypoints. Any other thing that you want to know about Phantom 3 4 series, leave your question below. For sure we or there will be anyone else who could help you in this matter. This drone is preferred by the people who are shopping ona budget. It permits a smooth flight. It has 6 axes flight with adjustable gyro sensitivity. It is very light in weight and easy to carry. It has four channels and flips on four sides. Its improved features include very strong motors, expanded payload and recording. Moreover Hubsan x4h107D mini quadcopter offers 720 megapixels. It produces the best quality pictures and also has recording ability. 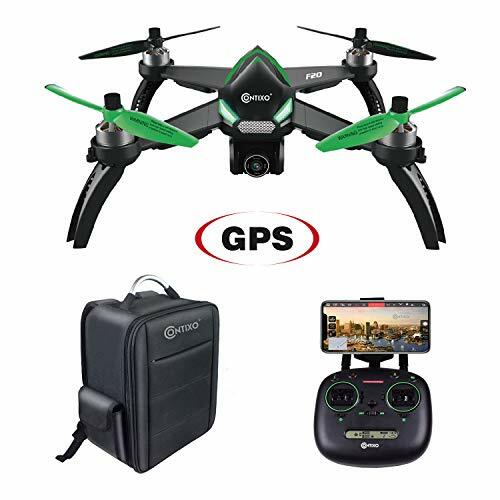 These are recommended when you are looking for flight recorder GPS. It offers live streaming on your smart phones. Its flight enhancer feature gives us 3D view. Its dimensions are 77.7 x 38.3 x 12.5 mm. It also has video recording feature and videos can be stored with remote control. When the videos are recorded they can be sent to your device. DJI Inspire 2 is for making unforgettable memories. It has a powerful camera which can capture up to 12 megapixels and the lens has 9 separate parts to improve the camera result. It can shoot up to 4 thousand videos and pictures. It is made up of strong carbon which lifts out of sight, turning towards the direction you choose. It can rotate up to 360 degrees which help in creating incredible images. The whole control of the camera and other features are controlled through a mobile app, a single tap can change the direction, take off timing, and landing timing e.t.c. Even when the GPS is unavailable, you can easily find your position. Vision position technology is being used due to which indoor flying has become very easy. So you can share and enjoy your vision with your friends, and family. This drone is mostly used for photos and videos. It is fast and offers smooth footage. It doesn’t have any camera when you buy it. But cameras, according to your requirement can be installed. It is excellent for beginners. It offers 25 minutes flight with improved plug in and play option. The altitude sensor allows it to work out of position with one single signal. The Walkera QR X350 PRO will fly and land. It will also give a warning when it’s time to land. The trainer cable is provided with the drone to help beginners. Its height and width is 200mm and 289mm respectively. 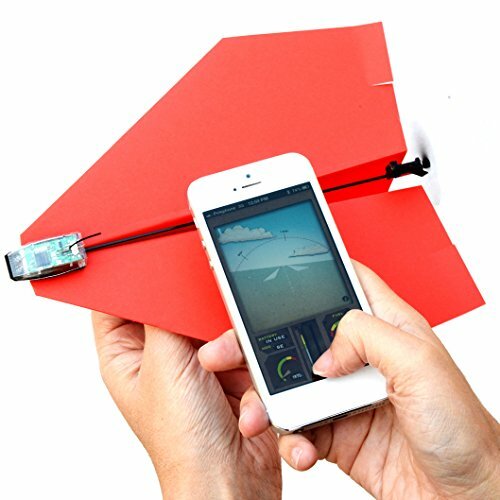 The first wireless paper control plane with a range of up to 55m and a design resistant to crashes. A special type of paper makes it easy to fold and fly. It contains a micro USB charging cable and a spare propeller as well as a spare rudder. Dron also has Bluetooth smart technology that enables control over the smartphone. Playing with this paper plane can also be educational, as the PowerUp 3.0 origami contains all the components of the STEAM. (Science, Technology, Engineering, Art, Mathematics). Designed with glittering LED lights so you can fly at night in the dark. 3D acrobatics are possible, allowing you to “burn” the sky with incredible figures and 360 degree turns with just one click. Great for beginners due to slow/fast mode and very good visibility of the drone. Batteries last for 7 to 9 minutes per charge, and the battery pack contains a spare battery. It has good perfomance in the wind, with a range of 30 to 50 meters. With this drone you do not need an FAA (license to fly) license and registration because the drone is too light. Perfect for stunts due to its 6-Axis Gyro system. Includes beautiful colorful LEDs for easy visibility at night. Do you need experience before buying DJI PHANTOM 3, DJI MAVIC or DJI Inspire 2? The Hubsan X4 is very lightweight, easy to operate and very similar and comparable to other larger drones. It has the latest 6-axis flight control system with adjustable gyro sensitivity. Most importantly, this drone is very easy to fly both for beginners and for experts. You can also charge it easily via a computer/laptop USB socket. 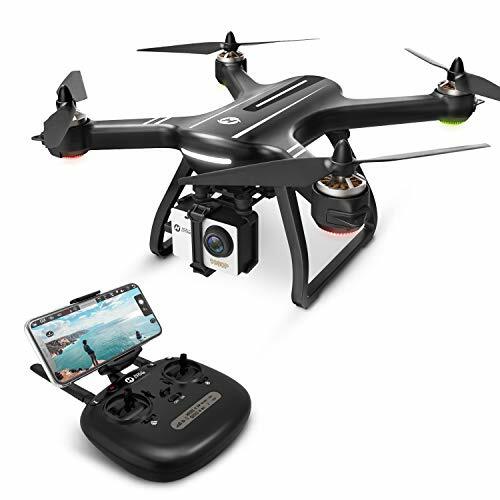 The U845 features a HD WiFi camera that allows you to see what the drone is at the same time by connecting to iOS or Android via real-time video programs. The individual battery lasts up to 9 minutes per flight. The “Gravity Induction” mode allows you to fly forward, backwards, left or right depending on how and at which angle you hold your phone. 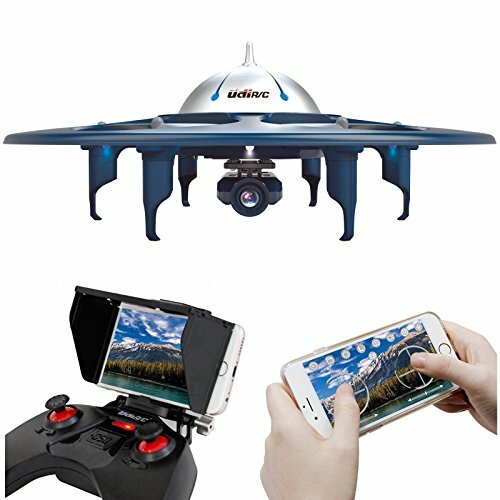 Airborne FPV (First Person View) is a type of remote-control flying that has grown in popularity in recent years. It involves mounting a small video camera and an analogue video transmitter to a drone and flying by means of a live video link, commonly displayed on video goggles or a portable monitor such as a smartphone. No. Most drones within the under $200 category are not suitable for children. If you wish to offer your kid a drone, please check out our Top 10 Best Drones Under $100 article. Are there drones for sale featuring a complete FPV package? Yes! We have reviewed amazing drones that include everything you need to fly FPV right out of the box, including LCD monitor and FPV Goggles! Nowadays you can get the full experience for a very low price; we help you find the deals which represent the best value for your money.